We all love to ask our significant other to read and edit our work right? And there is nothing more satisfying than paying money to have someone make edits to our writing is there? If you don’t like to ask favors, or your favor-givers have poor grammar and spelling skills, there are some great tricks you can use to edit your own writing that go beyond just reading it over and over. The next time your article is ready for the chopping block, step away from it for a bit to let it breathe, and then go back to it and try one or more of these five tips to give your piece some polish. Reading your work aloud can uncover issues with rhythm and cadence as well as sneaky mistakes that can be easily overlooked when reading silently. I shied away from this for a long time, but eventually I gave it a try and now I use it for everything I submit to other websites to ensure that my final drafts are very polished. 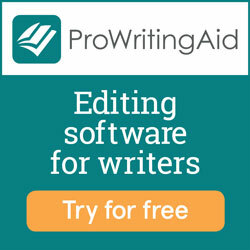 Personally, I use ProWritingAid because they offer a free version, and I love that you can get as granular as you want or just use it to zero in on certain things. Specifically, I count on ProWriting Aid to catch overused words, point out difficult to read sentences, to suggest replacements for commonly used words, as well as places where my style can be improved. A summary report is generated for each of my articles in seconds, allowing me to easily find trouble areas and fix them. If you have a need for their premium tool, which has no word count limits, plugs into Google Chrome, MS Word, Google Docs and more, be sure to use the Beyond Your Blog’s voucher code BEYOND2017 for 20% off! NOTE: I became an affiliate for ProWritingAid after I used their free tools, which means if you click on one of my links and subsequently purchase their premium tools I get a small commission at no extra cost to you. My husband used to start a lot of sentences with ‘to be honest” until I told him #1 he said it too much, and #2 it made me wonder if the rest of what he said was of questionable origin. I do the same thing in my writing. When I read something back with a fresh eye, I’ll catch myself using certain words and phrasing repeatedly. I just made final edits requested by my editor for an anthology I am a part of, and caught myself repeating the phrase ‘you may very well have’ multiple times. A reader would likely pick up on redundancies like this that undermine my story. Watch for these or use ProWritingAid‘s free tool to detect them for you. Okay, this one does require involvement from others, but you are only asking them to read aloud, not to use english skills or grammar proficiency. Much like reading it aloud to yourself, this can help you pick up issues that might make the reader stumble, or be unclear to a first time reader. You will never be a first time reader of your own writing, so listen to someone who is. Get very familiar with filler words and take them out! For me, the worst offender is ‘that’, but there are lots of others that can be tossed out to give your writing a tighter feel. 43 Words You Should Cut From Your Writing Immediately from Diana Urban provides lots of great examples of words you can cut to improve your writing. This is probably my favorite thing to do when editing, because it gives instant satisfaction! ProWritingAid‘s free version will pick up on these as well if you want to speed this process up. What is your process or favorite software for self editing?